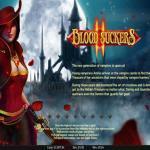 Bloodsuckers II is the sequel of one of the great games by Net Entertainment that has a Vampire theme, Bloodsuckers. The new game has the same format of five reels and twenty-five lines and comes in great visuals, sounds and a great set of bonus features. The video slot machine has a wild symbol; a scatter symbol and four bonus rounds. 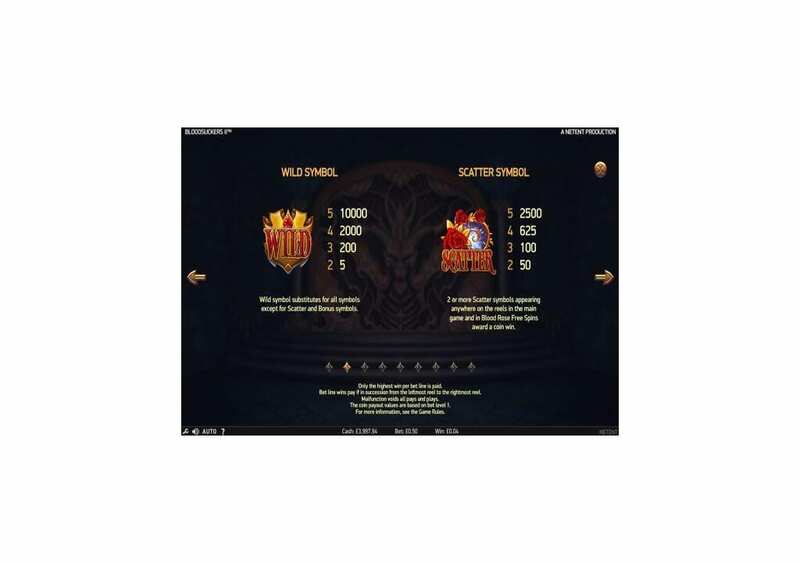 You can take advantage of all of these bonuses throughout the gameplay to lure in the big prizes and awards that the video slot machine has to offer you. The release of a sequel was only a matter of time following the first game of Bloodsuckers. The game was a great success that the developer decided to follow it up, after a few years, with a sequel, Bloodsuckers II. 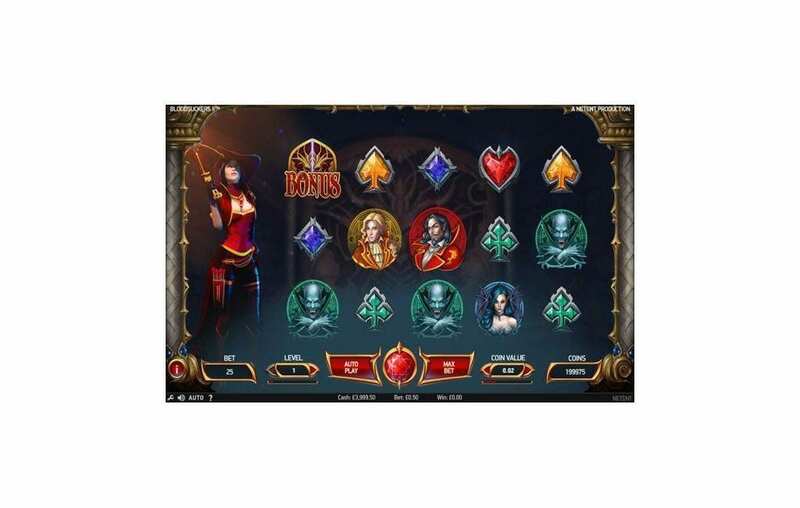 Like the old game, the new slot machine has excellent graphics, pin-dropping sound effects, 25 reels, five reels and multiple bonuses that you can take advantage of during the gameplay. You can check it out for yourself here for fun before you start placing real money stakes on the slot machine at the online casinos that host Net Entertainment games. Bloodsuckers II is the sequel to one of the great games by Net Entertainment, Bloodsuckers. The sequel has a captivating story that you will enjoy as you spin the reels. While the general theme is about vampires, the game has an entertaining storyline. 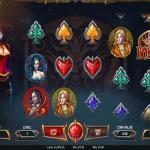 The video slot machine revolves around the young Vampire, Amilia, who is among the new generation of Vampires. She arrives at the ancient castle of the Vampires to search for the hidden treasures that it holds. You will join her as she ventures through the Ancient vampire castle, and faces obstacles, including the demon that guards the treasures. Amilia is not just a vampire; she is a warrior and an expert in using crossbows, which is very useful as she fights other Vampires and the demon. So get ready to join the young Vampire in this great adventure, help her accomplish her quest, and get to claim your share of the fortunes and riches of the hidden treasure that she is seeking. Bloodsuckers II by Net Entertainment has a traditional format that resembles its predecessor, as it has five reels with twenty-five stake lines. Bloodsuckers II takes you into the world of the vampires, and into the castle of the Vampires itself. Therefore, you will find an intro video that tells you the story of the game; then you will click on Enter the Vampire Castle so you can begin the adventure. 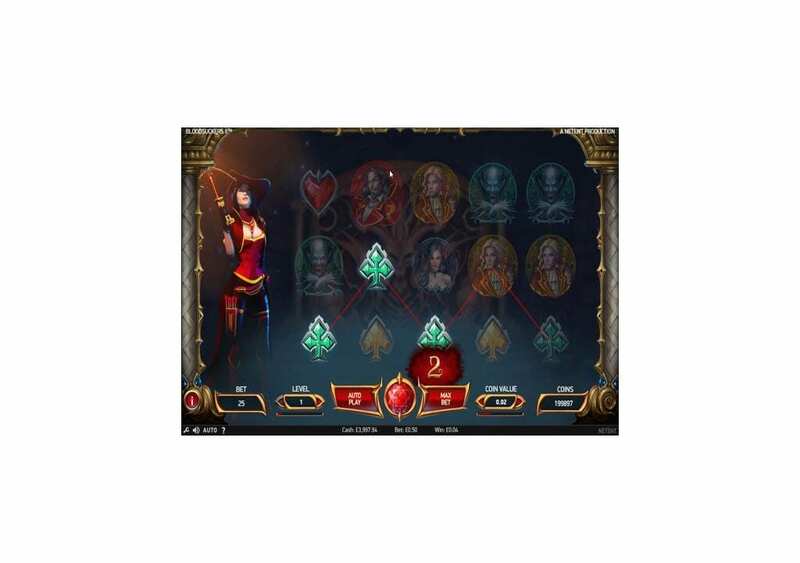 You will see that the game takes place in the palace, with the young vampire Amilia on the left side of the slot machine's reels as she will join you during the gameplay. As for the symbols and the graphics of the game, they all come in excellent quality, and they revolve around the vampire theme of the game. These symbols include many vampires with their big fangs, Dracula, the blood rose, the golden wild and more. 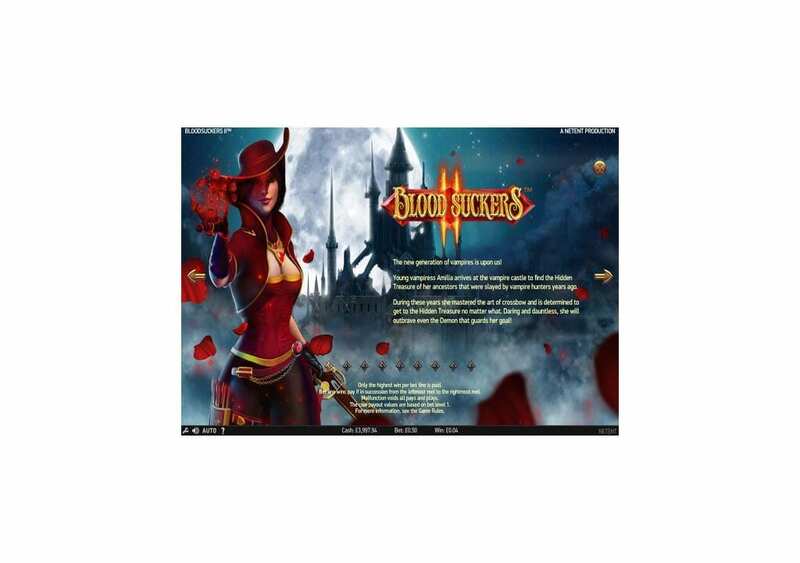 Bloodsuckers II is a bonus-packed and a rewards-filled video slot machine by Net Entertainment. 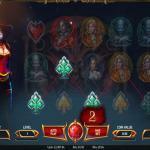 The video slot machine invites you to claim your share of the fortunes of the vampires. 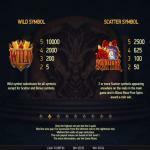 You will find scatter symbols, wilds, free spins, and much more. The Wild Golden Emblem can substitute for all other symbols appearing anywhere on the reels of Bloodsuckers II. 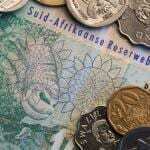 It will not be able to replace the bonus or the scatter symbol. 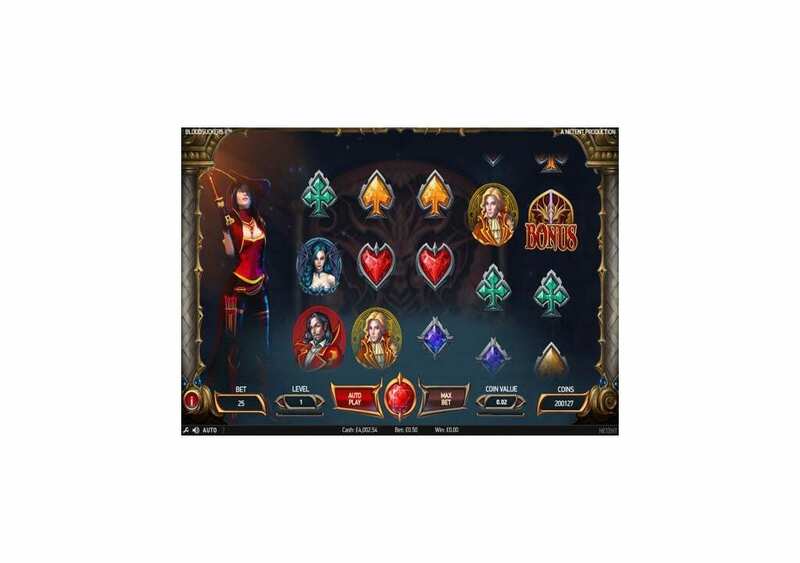 It will replace the icon that is going to result in the best possible payout, depending on the remaining of the symbols on the reels and 25 lines of the slot machine. The Bloody scatter symbol can trigger spread rewards that are a multiple of the stake when you manage to get from 2 to 5 of these symbols anywhere on the reels. 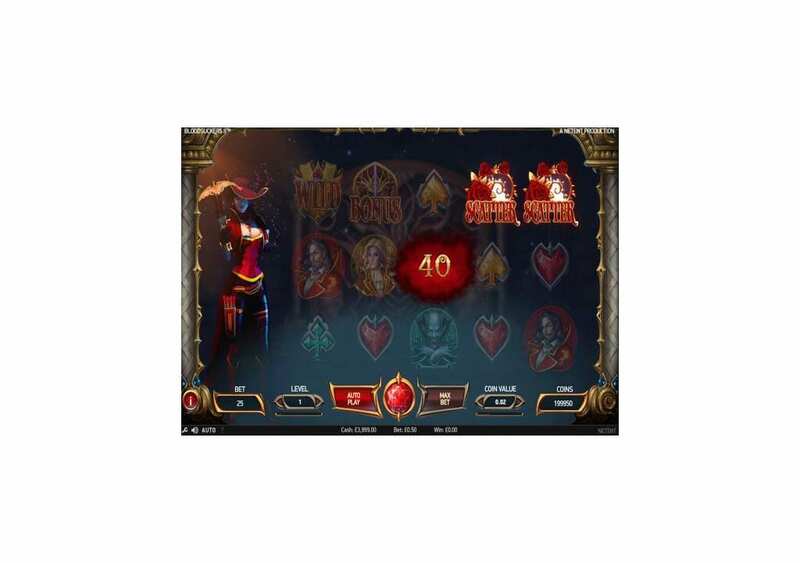 In addition to the scatter prizes, when you manage to get at least three of the scatter symbols, you will enter the Blood Rose Free Spins. 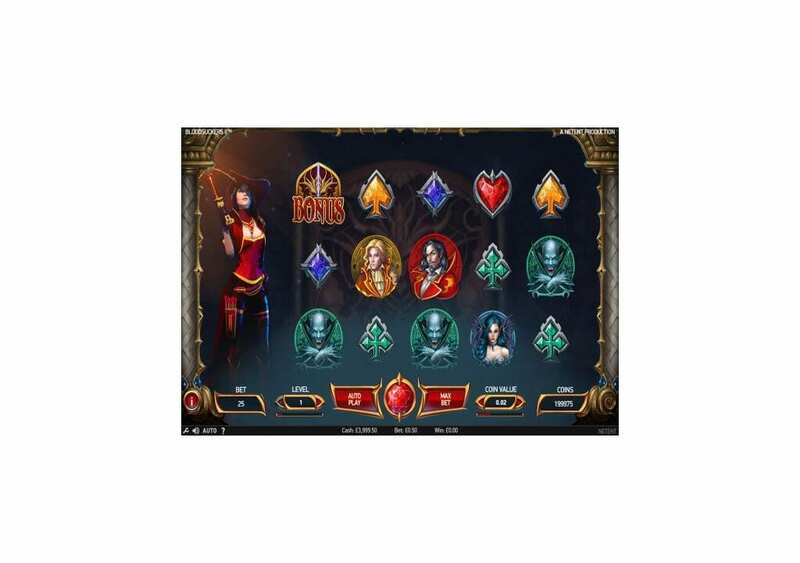 When you get three of the blood-rose scatter icons, you will enter the Blood Rose Free spins, through which you will claim ten free games on the video slot machine. If you manage to get three more scatter Blood roses during the free spins, you will claim ten more free spins. 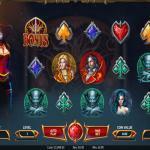 During all Free Turns, all the winnings that you claim will have a 3x multiplier added to them. During the base game, if you manage to get three of the bonus symbols, which is the magical gate of the vampire castle. These three symbols will have to appear on adjacent reels, starting from the leftmost reel. You will click on items inside of the castle to reveal the coin prizes that they have within. If you trigger the bonus round with four symbols, any rewards you will claim through the bonus round are going to have a 2x multiplier. The same way, all wins will be tripled if you trigger the bonus round with five symbols. 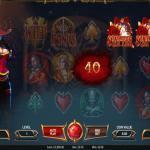 You will be able to find more about the game’s features and its regular prizes at the awards table of the slot machine.